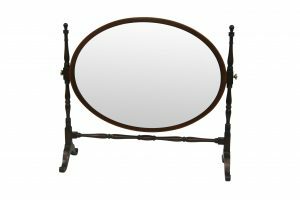 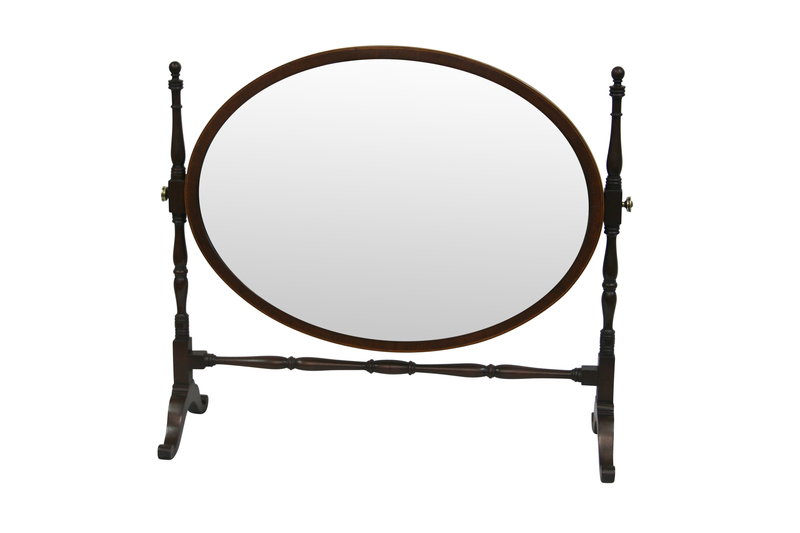 An Edwardian mahogany dressing table mirror. 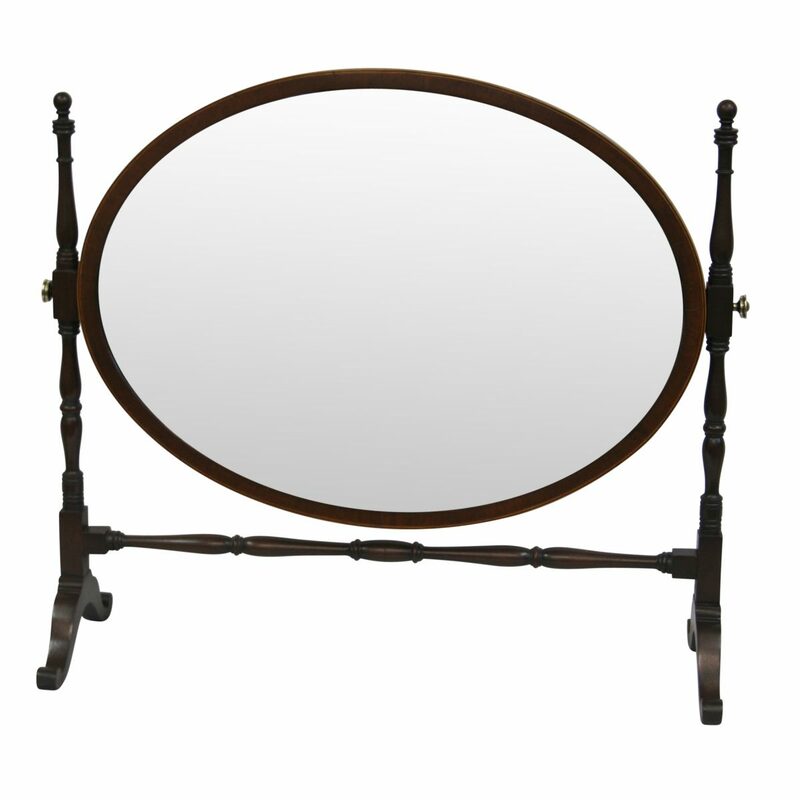 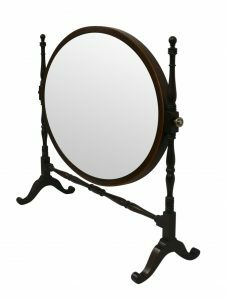 The oval mirror has ebony and boxwood lines. 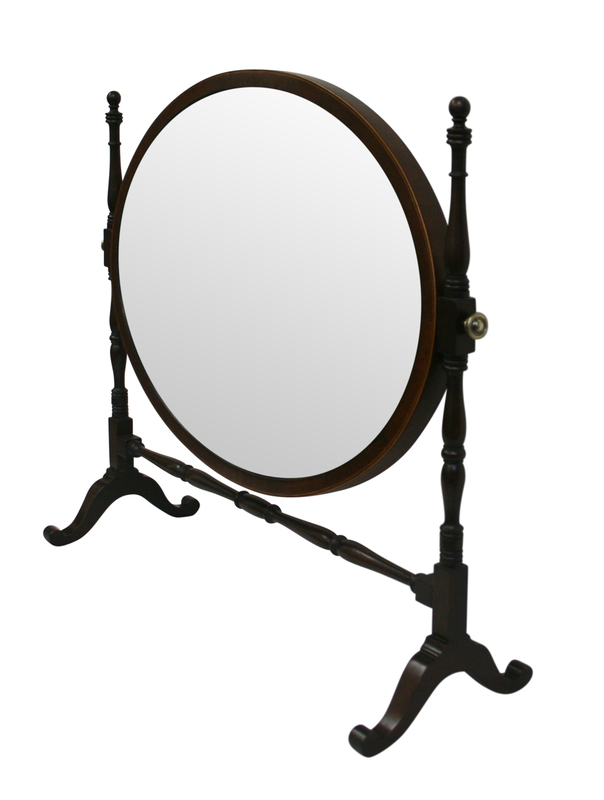 It is supported on turned columns and raised on splayed feet.